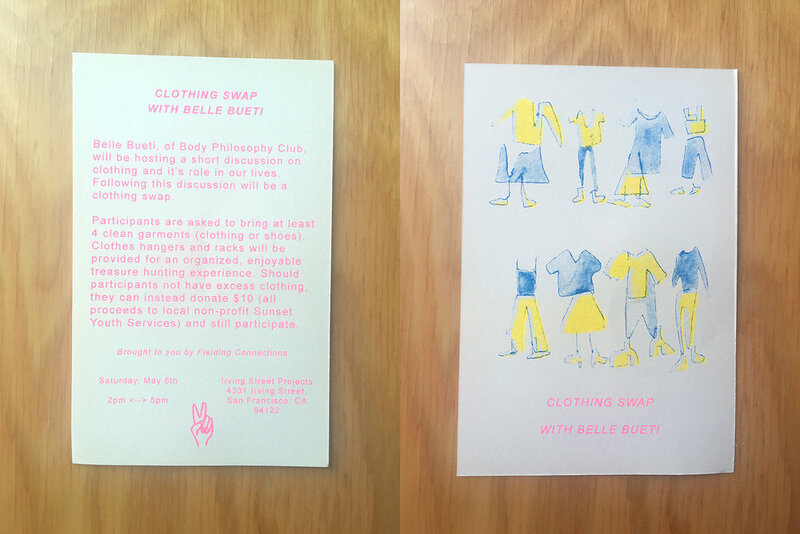 Belle Bueti, of Body Philosophy Club, will be hosting a short discussion on clothing and it’s role in our lives. Following this discussion will be a clothing swap. Participants are asked to bring at least 4 clean garments (clothing or shoes). Clothes hangers and racks will be provided for an organized, enjoyable treasure hunting experience. Should participants not have excess clothing, they can instead donate $10 (all proceeds to local non-profit Sunset Youth Services) and still participate.